Chimney mold probably isn’t the first thing you think of when you think about moisture getting into your home. As a homeowner, you’re probably well aware of the potential damage that water can do to your house. You likely make this association between your basement and water damage. While yes, it’s very true that basements tend to see the majority of water damage thanks to gravity and surrounding soil. The fact is, that your chimney isn’t safe from the lingering presence or excessive exposure to moisture either. 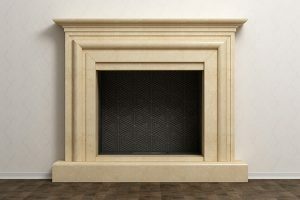 You’re literally playing with fire when you light your fireplace during cold winter nights, and that’s why it’s all the more essential to ensure the smooth operation and health of your chimney. 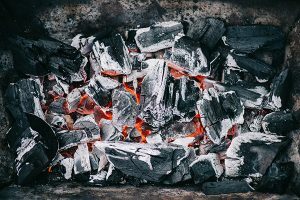 A chimney that hasn’t been taken care of can easily catch fire, and a chimney fire can spread to the rest of your home, causing monumental damage and endangering the lives of everyone living in it. Another cause for concern is chimney mold—which can grow and spread inside of your fireplace and chimney. Most homeowners are unaware that chimneys can have such a problem, but with their ability to hold extra moisture, the inside of a chimney can quickly become an excellent environment for mold to thrive. Moisture, of course, is a culprit to deadly chimney mold and deterioration. While it can be frightening to wonder what’s growing inside of your chimney, there are ways to prevent the growth of mold, the presence of moisture, ensuring your chimney not only stays intact for its lifetime but also performs admirably. Mold also loves poor ventilation because it enables it to thrive and spread. The chimney is the perfect growing habitat for mold due to limited ventilation if the chimney goes unused for long periods of time, and because it’s nice and dark. Chimney mold often goes unseen, and if you don’t know what to look or test for, you could be unaware of its existence. The best way to check for mold in your fireplace and chimney is to lean in and get a whiff of it. Mold has a musty odor, so if you catching a draft of must, then you might have chimney mold forming. There could be signs of mold spreading to the bricks surrounding your fireplace. Typically, mold will grow inside of the chimney, where darkness can help it spread, but there are some instances where it is visible on the bricks. If the mold growth is severe, you might be noticing that you or your family members have come down with a list of symptoms: runny nose, sneezing, sore throats, and headaches. Get rid of fireplace mold the second you notice the initial signs of its presence. You can do this yourself or you can call in a professional for help. The do-it-yourself route involves antifungal cleansers you can purchase online or in hardware or fireplace stores. Removing the mold yourself is only advisable if you spot its growth on the bricks surrounding the fireplace. Use a wire brush and the antifungal cleaner to thoroughly remove the mold. 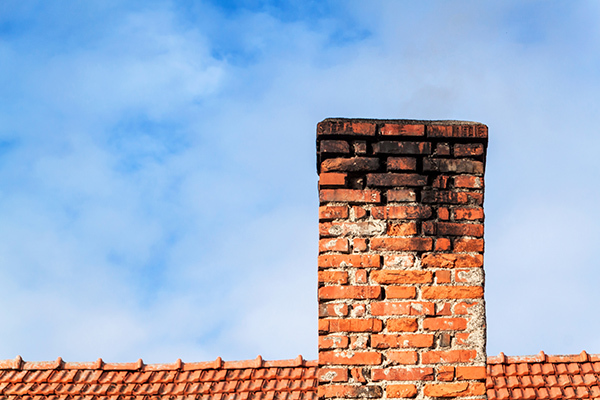 In order to remove the mold in its entirety, you’ll need a professional chimney sweep to do the job. A chimney sweep will be able to eradicate the mold from the entire inside length of the chimney, something only a trained professional is recommended to do. Attempting to clean the inside of your chimney yourself can lead to serious health problems and further damage to the chimney. For mold problems, chimney sweeps will use certified mold-removing chemicals to douse the inside of your chimney. Professional sweeps are equipped with the proper safety gear and tools to remove mold without the health risks of someone untrained attempting to the same job. Your chimney sweep will inspect the chimney to see what the source of moisture is. Then they will make recommendations on repairs to seal your chimney. The biggest step you can take in prevention is having your chimney inspected twice a year by a professional chimney sweep. 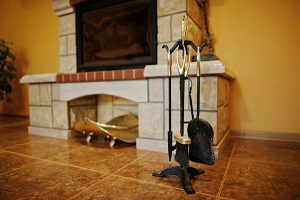 Chimney sweeps are trained technicians who are educated in the operation and function of chimneys and know how to identify problems before they take root. Chimney sweeps will clean your chimney and typically produce a report at the end of the inspection with advice and recommendations for your chimney’s health. Hire a chimney sweep that is certified by the Chimney Safety Institute of America (CSIA). Prevention also starts at the top. To keep mold and moisture out of your chimney, you’ll want to research and purchase a well-made chimney cap. A chimney cap covers the top of your chimney, usually consisting of wire mesh. 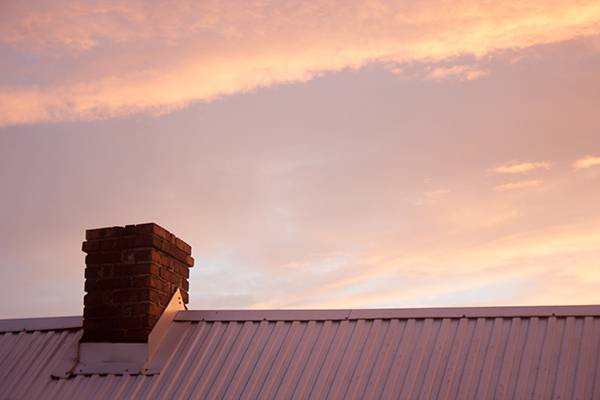 The purpose of a chimney cap is to prevent water from entering the chimney. It keeps the flue lining dry from rainstorms, snowmelt, and other moisture. Without a cap on your chimney, water can easily seep into the masonry, causing cracks, deterioration, and mold. A chimney sweep inspection is crucial because chimney caps can become clogged and stop doing their job. You’ll be stuck back at square one with your chimney problems. A chimney sweep can repair, replace, and unclog caps to keep them operational, subsequently preventing mold and maintaining the health of the chimney. After having your chimney inspected, you’ll want to think about getting your chimney waterproofed. Waterproofing your chimney will cut off the source of moisture, which feeds the growing mold inside. Waterproofing can be a do-it-yourself project or you can hire a professional chimney company. Repairs must be made before you waterproof the chimney. 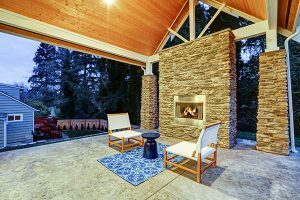 Either have a professional chimney repair service complete the repairs of broken or cracked masonry, or purchase crack and joint sealant for masonry to do the repairs yourself. Depending on how severe the damage is that’s letting the moisture seep through the flue liner to the inside of the chimney, you might be able to do a few basic repairs. Many joint sealant products are easily applied to minor cracks on mortar joints. It is similar to a paintable caulk that dries to become relatively unnoticeable. Choose a water repellent product appropriate for your chimney masonry. There’s a key difference between a sealer and a water repellent. Sealers form a barrier on the surface of the masonry, locking in any existing moisture beneath the surface. A water repellent, which can be purchased online or in store, will do the opposite. A repellent forms a coating that repels water away from its film, yet allowing the surface to breathe. Chimneys heat up and cool down, therefore the masonry will expand and contract as such. A good repellent will move with the expansion and contraction. It will form a malleable barrier that offers protection, but not restriction. This is necessary during freezing and thawing weather. The expansion and contraction of the mortar joints and surrounding masonry can be extreme. Keeping mold out of your chimney can be a multi-step, daunting process. You should always begin with a professional chimney sweeping company and go forward based on their recommendations and advice. Removing chimney mold means buckling down on points of access. Blocking where moisture is getting in will make your chimney last the lifetime it was designed to. If you’re having concerns with chimney mold growth in your chimney you can trust the professionals at Early Times. Get your free quote set up today and let us take the work out of chimney maintenance.